Fall is a great time to get out and explore nature with your family. The weather has cooled, making it enjoyable to be outdoors, and nature is brightly hued in all its autumn splendor. Enjoy a hike or walk together to enjoy it all Then, extend your love of the outdoors with these fun nature inspired fall crafts. 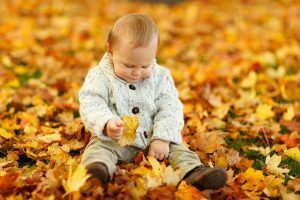 These fall crafts use items found outdoors; acorns, leaves, twigs, etc. Make finding these materials really fun by creating a scavenger hunt on your next park day or family hike. Kids love scavenger hunts where they can search for their own “treasure”. When they get home, they get to use their found objects to create one of these fun fall craft projects. Just think of the stories they’ll tell about finding their objects and the art they created. That’s priceless! Need more ideas to help you go out and explore with your family? Take a look at these 12 Amazing Fall Activities to Get You and Your Family Outdoors. 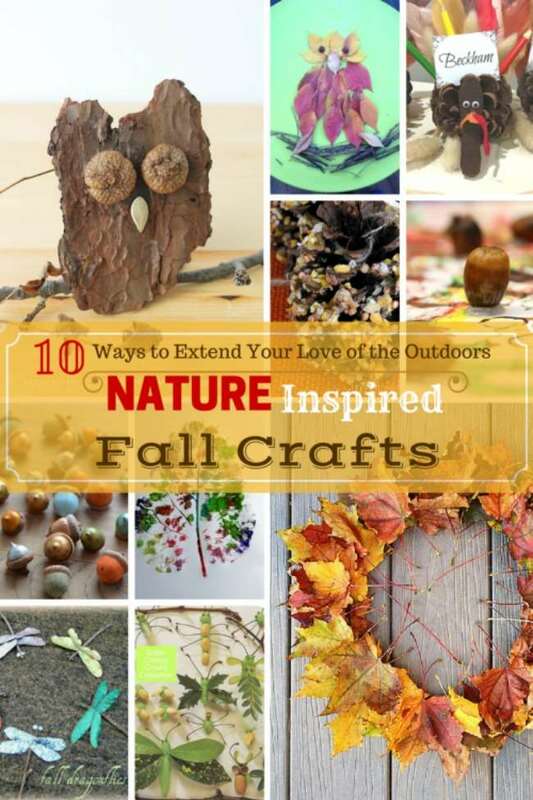 Then come back and create one or more of these fun nature inspired fall crafts. Everyone will have a great fall adventure. What is your favorite nature inspired craft to do with your kids? So many beautiful ideas! I’m going to give those dragonflies a try! Fall crafts are so fun. I love the colors and smells of fall. Those painted acorns are my favorite fall craft for kids. Thank you for joining the Love to Learn hop! It was great to see the other activities and posts. Thank you for hosting.